Chris Metcalfe is a name that has been on everybody's lips. Since bursting onto the scene at a young age he quickly became one of the most exciting and talked about names in the scene today. He was signed by none other than the world’s no.1 DJ Armin van Buuren to his Armada record label and was later tipped on BBC Radio 1 to be the next big thing. Over the last few years Chris has been causing some serious waves with his productions. His debut track 'First Encounter' that came out on Armada Music made him a global name. It got hammered by every major trance DJ you can think of, then reached number one on the download sites as well as featuring on many albums worldwide. This was the start of what was only going to be an exciting career for Chris Metcalfe. Chris's music can often be heard on leading dance shows likes BBC Radio 1 as well as often featuring on Armin Van Buuren's A State Of Trance and Paul Van Dyk's VONYC sessions to name a few. John O'Callaghan has been a massive fan of Chris's work from the very start, releasing tracks on his Subculture record label such as Cala Bassa, Prospector, Curveball, Tahiti, High Altitude and Monsoon. He continues to support Chris regularly inviting him to play at his legendary Subculture events around the UK as well as touring overseas. Chris has managed to put his name up there with the best up and coming DJs in the scene. He's secured regular bookings at some of the most respected clubs nights in the world including nights like Godskitchen, Gatecrasher, Goodgreef, Inside Out, Digital Society, Subculture and The Warehouse Project as well as playing worldwide tours in places like Australia, Ibiza, Asia, Argentina, Africa, The Middle East and throughout Europe. It’s the first time we have had the chance to fire a few questions over to Chris who has had a very successful 2014 so far. There is more still in the pipeline with new releases and collaborations on the way. 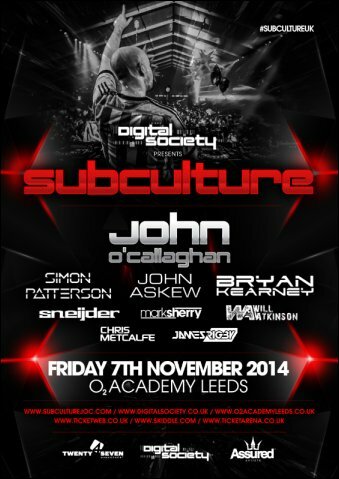 He is due to support the Subculture team as they take over the Digital Society for the night on the 7th November at the O2 Academy in Leeds. We went to ask him about the forthcoming night and on his new tunes currently in the pipeline. i:Vibes: Thanks for taking the time out for i:Vibes Chris! It’s been a fantastic 2014 for you with some superb trance music out there. As we are about to come out of summer, what has been your most memorable moment of this year so far? Chris: My pleasure, thanks for taking your time out to interview me… 2014 has been a great year so far, I wouldn’t particularly say I have just one memorable moment, the stand out ones though are mostly from playing in new countries for the first time, made my Debut in Dubai, South Africa and Holland and also played at my first festivals at the massive Summerburst in Gothenburg and Stockholm. i:Vibes: It’s been 5 years since your debut single ‘First Encounter’ was released on Captivating sounds. 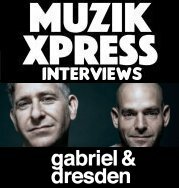 How did the breakthrough into a full single release come about for you and what inspired you to take trance production on yourself? Chris: Cant believe its that long, 5 years has flown by… Armin van Buuren personally signed First Encounter, its a moment i won’t forget in a hurry, the scene has changed so much over the years, when I first started out you didn’t need tracks behind you to be as successful, the longer time went on though times changed and I realized if I didn’t make music I wouldn’t get anywhere. i:Vibes: It wasn’t long until you managed to get signed to John O’Callaghan’s Subculture label in 2010. How did you get to know John and how highly do you rate the Subculture brand? Chris: I have known John for around 10 years or so, I first met him when he was breaking through into the scene and we have been friends ever since, its great to see how far he’s come, also great to see he’s stayed true to his sound, not many artists these days have done that. Subculture has turned into a massive worldwide brand and the tracks that come out on the label are always next level, its great to be apart of it!! i:Vibes: On the subject of Subculture you must be looking forward to the November take over off the Digital Society in Leeds at the o2 arena. Just how do you rate event brands like the Digital Society and the events they put on? Chris: I rate Digital Society massively, I have been going to their events since the very start, its great to have watched them grow over the years, they have created a really big well respected brand, they have a good team of people involved that all work hard and they deserve everything they get, in the 7 years they have been going I have not seen one bad lineup, they’re always top notch!! i:Vibes: What can we expect to hear during a full on Chris Metcalfe set at the Subculture night? Chris: Myself and James Rigby will actually be playing back to back at this night, no plans on what we will be playing yet. i:Vibes: What is it like being part of the Subculture team and what new tunes has the label got in store for us over the next few months? i:Vibes: Do you get the chance to mingle around with the clubbers and enjoy the other sets at nights like these or is it strictly business? Chris: Every night I play at I always go and mingle about, I will be definitely sticking about for the full duration, the lineup is huge, I will be one of the last people to leave the venue, I want to be there for every set! Chris: I think me and James are on early so if that’s the case none of my own productions will be getting played, warm up stuff only. i:Vibes: I would ask you what some of your favourite classic trance tunes are but I could take a solid guess that Blank & Jones ‘Cream’ and Nu-NRG ‘Dreamland’ were two. You have bootlegged both these with Dreamland really gathering a very popular fan base. What gave you the urge to put the Metcalfe spin on these two classic gems? i:Vibes: Have you had any feedback from the original artists about your bootlegs? Chris: I did with Dreamland, Giuseppe Ottaviani loved it and supported on his Radio show. I also did a rework of The Thrillseekers - Synaesthesia at the start of the year, that was also really big for me, Armada have actually snapped that up and want to use on one of their new compilations. i:Vibes: What classic tunes do you have in mind for an update in the future? i:Vibes: We have loved the previews of your new collaboration recently signed to Subculture with the Noble Six called ‘Oceon Avenue’. That melody is really something is something else, the question is just who came up with it? Chris: Thank you, glad you like, the buzz on this track has been great up to now. I sent Noble Six a melody and he put his touch on it, watch out for this guy by the way, every track and remix he does is quality, definitely one to watch in 2015 along with Adam Ellis. i:Vibes: What are your current favourite trance tunes are the moment? i:Vibes: Finally, what new singles, remixes and collaborations have you in the pipeline for the rest of 2014? Chris: I have 2 collabs coming out, one with The Noble Six and the other with Lostly. Remix wise i have done an exclusive remix for Giuseppe Ottaviani’s new GOOnAir Compilation, I haven’t got a release date for that yet, should be within the next few months, another remix which I have just started, can’t say much about that one yet… I also have 2 new originals 95% finished, will hopefully have them both ready to go in the next few weeks. :: Tickets for this event are on sale now! :: Download Chris Metcalfe's bootleg of Nu-NRG's 'Dreamland' track right here!